In case you didn’t know, Boeing is turning 100 in 2016, and the big plane maker is already lighting up the figurative birthday candles. 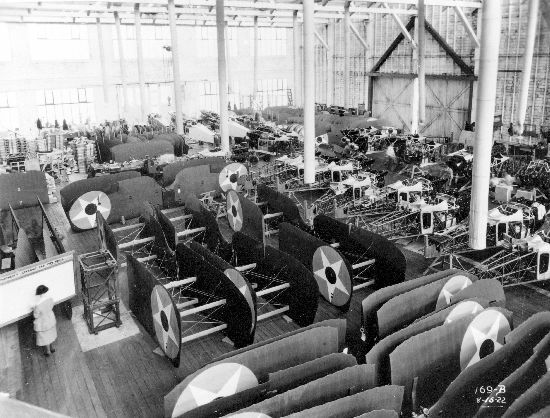 That seemed like a perfect excuse to share this wonderful panorama of Boeing’s Wing Room, taken on August 26th, 1922 – a Saturday, as it happens – which I’ve been sitting on for well over a year. Make sure you click the thumbnail to drink in all the details. You can also get your own copy here. 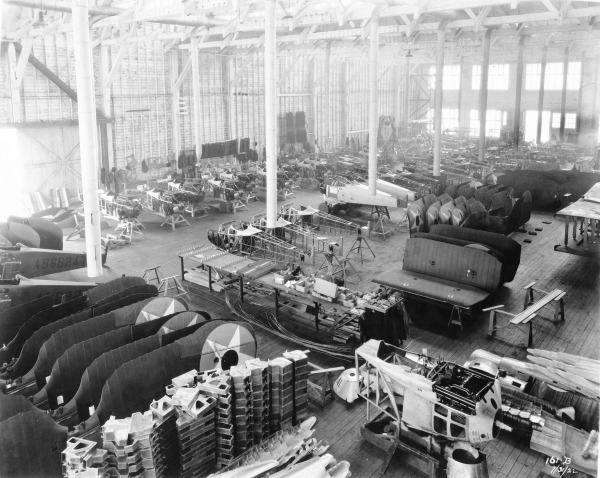 It’s a priceless, time-traveller’s glimpse inside the upper level of the legendary Red Barn building, and the lost craft of plane-making beside the Duwamish River. The swept back tips give these away as wings for Thomas-Morse MB-3As, a significant US Army Air Service scout of the 1920s. Boeing’s constructor numbers for their MB-3As ran from #210 through to #409. 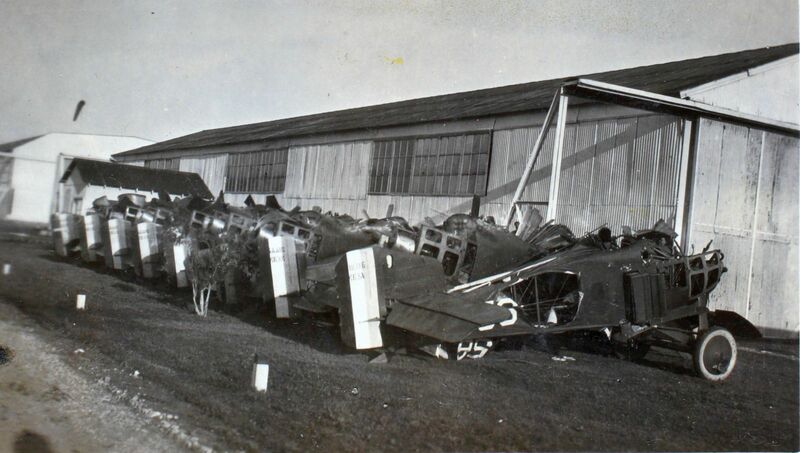 In service, the aircraft then received USAAS registrations 68237 through 68436, in a cumulative numbering system that would be replaced by the more familiar fiscal year serial system from FY 1922. The company won a contract to build 200 of this pugnacious little pursuit for $7,240 per unit by relying on mass production techniques to profitably undercut the bid from Thomas-Morse of Ithaca, NY. 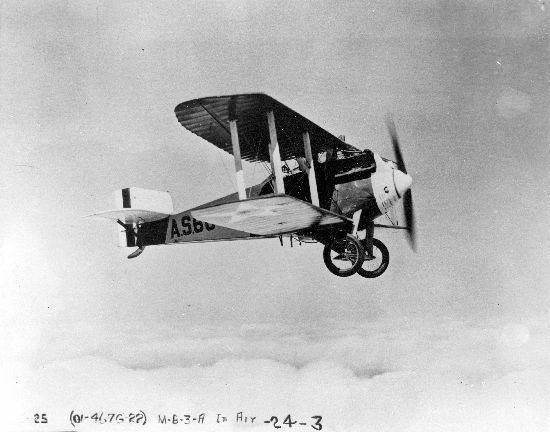 Thomas-Morse had originally designed the HIspano-Suiza powered MB-3 to replace the Army’s ageing SPAD XIIIs, and was rewarded with an initial contract for 50 aircraft. However, at that time it was normal practice for the Army to also buy the production rights for any aircraft they ordered. So when they went shopping for another 200 MB-3s with several structural changes (most notably moving the radiator from upper wing centre-section to the fuselage sides), Boeing was able to win the tender. It was a pivotal piece of business for Boeing. As their first major order since a wartime contract for 100 DH-4Bs, building these 200 MB-3As finally set the company on a solid financial foundation – and on its way to becoming a major aircraft maker. And the rest, as they say, is history. . 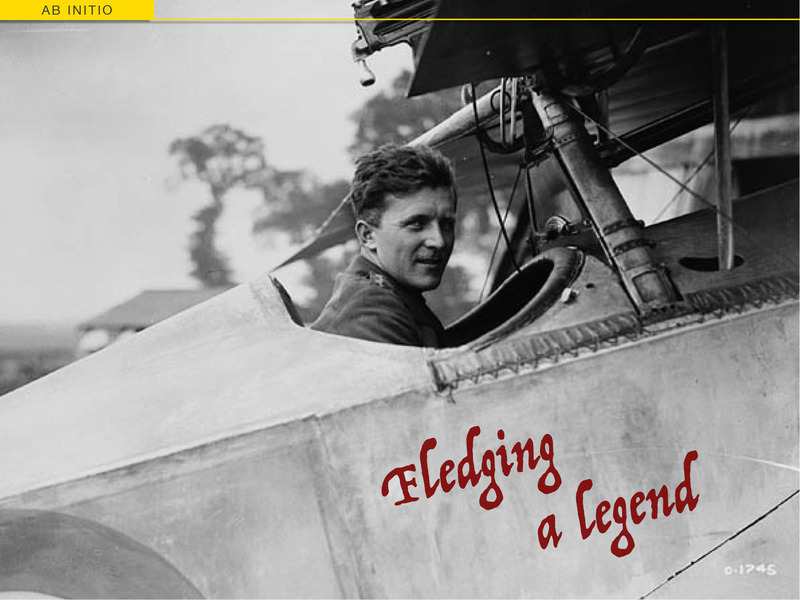 Speaking of history, Boeing has dedicated a new section of their website to the upcoming centenary, and filled it with interesting historic goodies. There’s even some footage of seamstresses (Rosie the Rib Stitcher?) covering MB-3As, and the big four-bladed prop of #68380 being hand swung in Army service. I can’t wait to see what else they’ll share over the coming year.